Job interviews can be so stressful. There’s nothing worse than going into an interview and realizing you are completely unprepared for the questions being asked, or how to handle yourself. The hardest part of the job search should be getting the interview (read this to learn how you can get a job interview every time you apply for a job). Once you’ve got there, we need to make sure YOU are prepared for showing how amazing you really are. 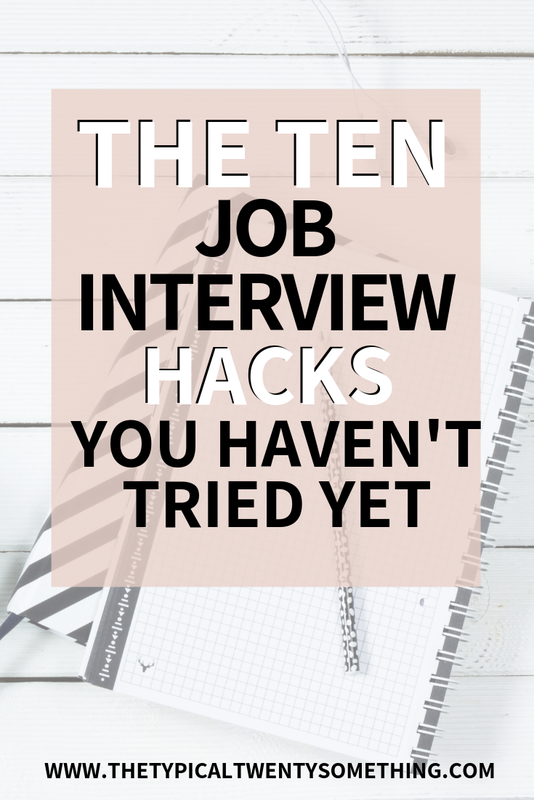 That’s why I’m sharing all the best tips to ace job interviews! When I got laid off from my first job (ever! ), I had to learn to be REALLY good at interviews. All of a sudden, I was 6 months out of college, with a lost job and interviewing…again. I knew I was the odd one out. I did tons of research, talked to career coaches, the works, and figured out the best tips for interviewing. Now I’m sharing them here! In the past, I’ve shared things you should never do in a job interview and how to prepare for a job interview, make sure you read these posts because they will be super valuable in this process. Finding something great to wear in an interview is tough! You want to make a great first impression. There is no dress code though! When you walk into an interview, you want to capture the full hiring manager’s attention with your personality and accomplishments and show your professionalism. Don’t wear something that catches their attention from your clothing, dress simple but professional. I would stay away from jeans. If you are stuck on an outfit, try black dress pants, a white shirt and flats or heels! If you are interviewing a field that involves clothing, like fashion, then you definitely want to show your style. Otherwise, make the interview about you, and not what you are wearing. Even when I interviewed at Conde Nast, I wore something stylish but simple. Try shopping at stores like H&M if you need a good interview outfit – they have totally affordable clothes that are still professional and cute. Did you know that a massive part of how we feel about others is their body language towards us? When you go into an interview, watch your body language. Try keeping your back straight, chin up and shoulders down. Maintain eye contact and try and emulate confidence. This will show everyone that you are a great fit for the job! And show your great communication skills. If you are feeling nervous or underconfident, try standing in a power pose for a minute or two in a mirror before going in an interview. This might feel silly, but it works! Standing straight and looking at yourself confidently is actually proven to help you truly come off more confident in an interview. I actually get really nervous before public speaking and before interviews. To fix this, I try standing in power poses and taking 10 deep breathes before going into a tougher situation. This helps me calm my mind and trust that everything will be ok! Ok, I’m not actually telling you to skip breakfast, BUT, don’t stuff your face with sugary foods before you interview. Your brain works better when a little bit of adrenaline kicks in. So don’t put anything in your body that could potentially slow it down. This goes the same with getting a good nights sleep before. You want to put your body in the best possible position to perform and succeed. It’s hard to figure out what to bring to an interview. ALWAYS, bring a pen and paper to take notes. Even if you take it out at the beginning of your interview don’t write on it at all, it looks better to have someone look like they want to take notes during an interview. I also always bring a printed copy of my resume, in case the interviewer is unprepared. This shows that you will be prepared in future meetings, and who doesn’t want to work with someone like that? Make sure to study your calendar before an interview. If someone asks you when you’ll be free to meet again, you want to know when you are free. Don’t leave it up to chance for them to respond to an email. 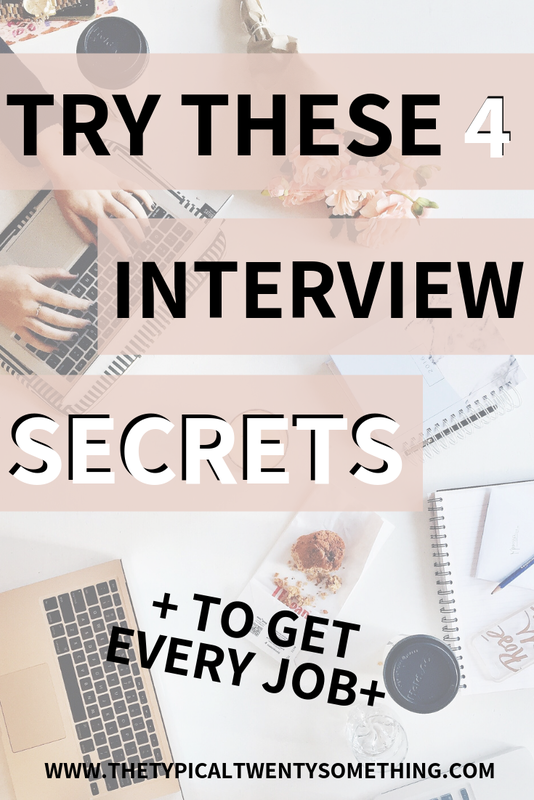 Also if there are different interview locations, make sure you know which ones you can make. You can even write notes in your pen and paper (that you will have brought because you read the above! ), when you are free for another interview or a time to talk. Negotiating salary during an interview is an incredibly hard thing to do. 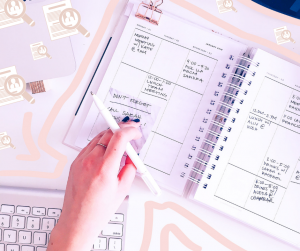 I’ve actually written whole posts on it (read it here), so make sure you familiarize yourself with certain tactics before going into an interview. Most likely during the interview process, you’ll be asked about salary expectations. This is normal. The recruiter is probably just trying to make sure they can afford you. Before going into an interview, I would try and understand where you are trying to land with salary. 1. When the recruiter asks how much you want to make, ask if there is a range for this role. 2. If they give you a range, great, say that this range sounds reasonable and you are thrilled about the opportunity. You are confident you can find something within your range. 3. If they don’t give you a range, that’s fine. 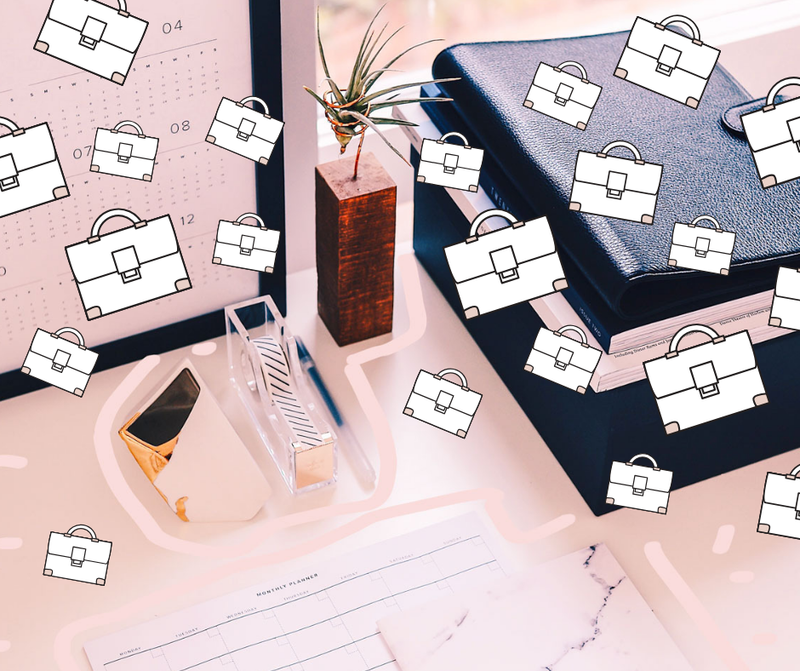 Say that you would be taking this job for the incredible opportunity, and you are confident you can find something that works within the range. My point, try and not get into the weeds in the salary conversation prior to getting the job. If you have had a different experience, tell me below! At the end of the interview, when someone asks what questions you have, ALWAYS ask some questions. In my notebook I bring to interviews, I like to write down 3-5 questions I have to ensure I am not drawing a black. If you are stuck on questions ask about the position (what the day to day is like), about the company (the culture) and the team (how big is the team, the dynamics, etc). You will be set! It’s a common interview question to ask questions, so make sure you are prepared here. When someone writes a job description, they are doing it with intention. They are trying to attract the right type of person for the job. So make sure you can speak to every aspect of a job description. If you don’t know a system or tool mentioned on the job description, learn what it is and how you can learn it before the job. When I haven’t known something but it’s on the job description, I’ll offer to take a class on it before coming into the role. People love that! Even if it doesn’t come up during the interview, start researching the company before going into an interview. You can check websites like Crunchbase, Owler, and Google News. If there’s anything new that’s happened with the company, find a way to bring it up. Let’s say the company just got a new CEO, when walking into an interview you could say, congrats on getting the new CEO! Just to show you’ve done your due diligence. More and more, companies are checking people’s social media before taking the job. I mean, you have to admit – on the employers part – this is BRILLIANT! Why wouldn’t you want to see what your employee is doing on the weekends and see if they are at all responsible?! You want to show the team you are a good fit. Make sure you don’t have super drunk or inappropriate pictures on social media if you are interviewing, it can’t hurt to clean this up. Don’t forget! Follow these ten interview tips and you will ace your upcoming interviews! What are the questions you still have about interviewing? Comment below!